Every third Sunday in June is the day we declare Father&apos;s Day. On this day, we show our appreciation for our fathers with gifts and adulation unlike any other day. To make finding gifts for dear dad easier, we&apos;ve created a Cumberland Valley Father&apos;s Day Gift Guide to find gifts that are perfect for dad AND we&apos;ll be giving them away each day, beginning on June 11, 2016. Enter on Facebook, Twitter and Instagram! Does dad love to spend his weekends hitting the green? 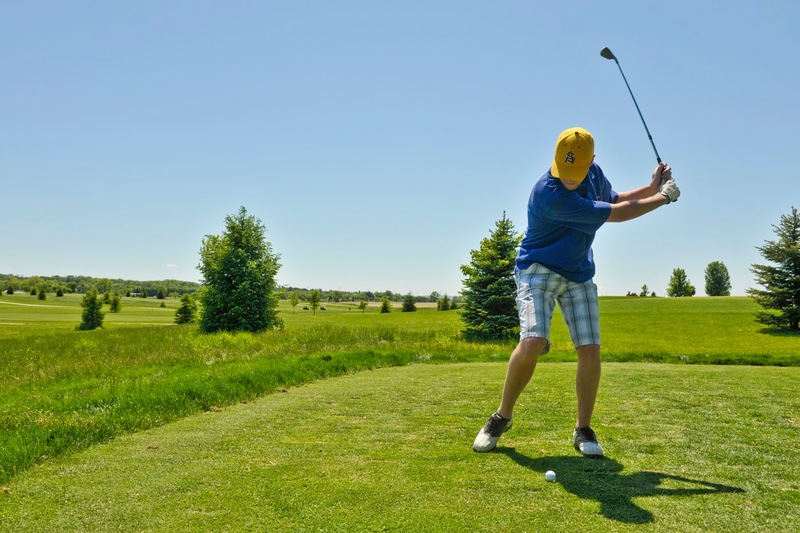 Get him a gift certificate to one of the Cumberland Valley&apos;s finest golf courses, Rich Valley Golf, located in Mechanicsburg. Not only can he enjoy 18 holes, he can bring the family for mini-golf and enjoy dinner at Nolo&apos;s Restaurant & Bar. Enter to win a $50 Gift Certificate to Rich Valley on Saturday, June 11th. Give dad the ultimate Carlisle car show and dining experience with a 2016 season pass to Carlisle Events and a gift certificate to 1794 Whiskey Rebellion. 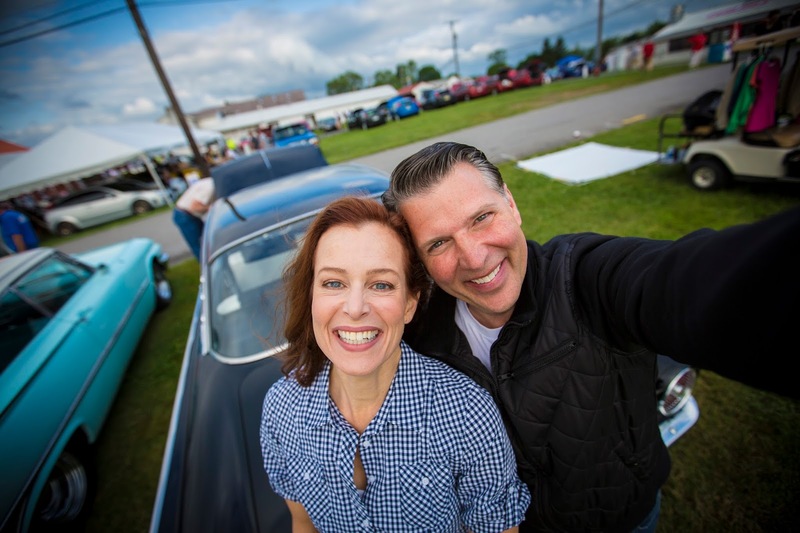 There&apos;s still plenty of action left at the Carlisle Fairgrounds this year, including the GM Nationals, Chrysler Nationals, Truck Nationals, Corvettes at Carlisle and Fall Carlisle. Top off an exhilarating car show weekend with one of Carlisle&apos;s premier restaurants at 1794. Enter to win two season passes for Carlisle Events and a $50 Gift Certificate to 1794 Whiskey Rebellion on Sunday, June 12th. Do you know a dad who loves to fire up the grill and cook with different seasoning and sauces? This gift is for him! Included in this set is a Grilling Plank and Philadelphia Phillies Spatula from the Kitchen Shoppe, Garlic and Spice Sauces from Torchbearer Sauces (which you can pick up at Farmers on the Square in Carlisle), and Montreal and Chipotle & Honey Seasoning from Calicutts Spice Co. Enter to win this gift pack on Monday, June 13th on Facebook, Twitter and Instagram. These gifts are for dads who love thrills! Get your engine ready at Autobahn Indoor Speedway, the largest indoor go-karting facility in Pennsylvania, where the cars go up to 50 MPH. If that&apos;s not enough, dad can strategize and make his move on the field during Paintball at Roundtop Mountain Resort. Dad will love either of these two prizes and by entering our daily Gift Guide, you could win a gift certificate to Autobahn Speedway and two free passes at Roundtop to paintball! Does dad love to spend time reeling in fish? Because this gift is for the fisherman! TCO Fly Shop in Boiling Springs sits by the beautiful Children&apos;s Lake and the area happens to be a favorite of fly-fisherman. TCO Fly Shop is your one-stop shop for fishing and hiking gifts, including a fishing rods and classes. Enter today&apos;s Gift Guide on Facebook, Twitter and Instagram for your chance to win an Orvis Encounter Fly-Fishing Rod, valued at $170. Take dad on adventure to Wormleysburg and City Island with day trip with dad. Head out on the water on a kayak or canoe with the nearby Susquehanna River, or take a shuttle to another Cumberland Valley stream with Susquehanna Outfitters. 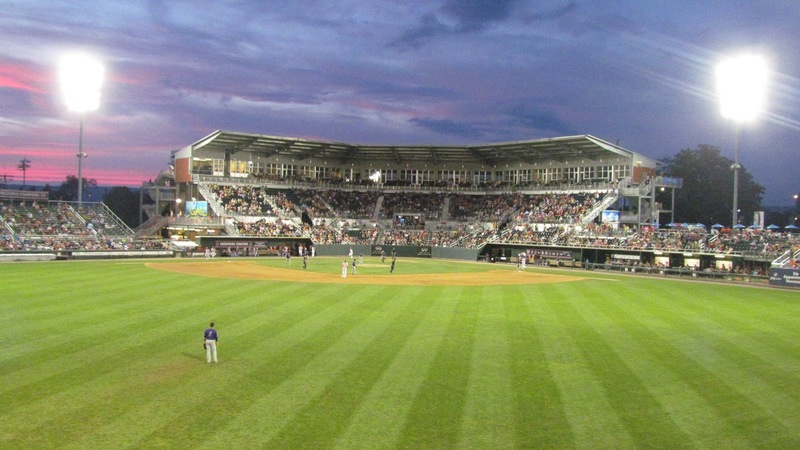 After some time on the river, catch a baseball game at FNB Field with the AA affiliates of the Washington Nationals, the Harrisburg Senators. The Senators have nightly promotions and one of the most unique fields in baseball. Enter the Gift Guide Contest on June 16th for your chance to win two tickets to a future Senators game and a gift certificate to Susquehanna Outfitters. Every day from Saturday, June 11, 2016 through June 16, 2016, the Cumberland Area Economic Development Corporation (CAEDC) will be giving away one prize per day on the Cumberland Valley PA Facebook, Twitter and Instagram page. Each prize will be a showcased gift that visitors can purchase at locations in the Cumberland Valley. 1. ENTRY: No purchase necessary to enter or win. Contestants will enter by liking, sharing, and commenting on the Cumberland Valley PA Facebook page’s post on the daily prize, liking and commenting on Instagram and/or by retweeting the post on Twitter. a. If the winner lives within 40 miles of the CAEDC office, it will be the responsibility of the individual to pick-up the item at the CAEDC office at 53 W. South St., Carlisle, Pennsylvania 17013. Prizes can be collected Monday – Friday from 8am-4:30 pm. There will be select days where award winners can pick-up their prizes at evening times. Each winner will need to coordinate a time with Aaron Jumper (aaron@visitcumberlandvalley.com or 717-240-7185) to pick-up their prize. All prizes must be picked-up by noon on Friday, June 17, 2016. 9. NOT ENDORSED BY FACEBOOK, TWITTER OR INSTAGRAM: By participating in this contest, you acknowledge that this contest is in no way sponsored, endorsed or administered by, or associated with, Facebook and/or Twitter and release them from any and all liability arising from or related to this contest. The information you are providing for this contest is being provided to the Cumberland Area Economic Development Corporation and not to Facebook or Twitter, and will be used to notify you if you have won. 12. WINNERS LIST: The names of the winner may be obtained by sending a self-addressed stamped envelope to: Gift Guide, Cumberland Area Economic Development Corporation, 53 W. South St., Carlisle, PA 17013. A full list will be available on June 20, 2016.